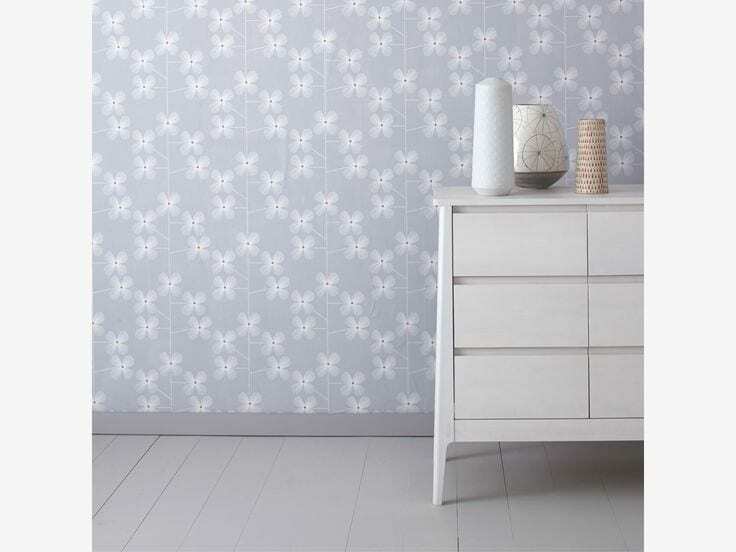 This beautiful, delicate print called Geo Floral by Habitat is a nod to Japanese textile design, and wonderfully calming. It’s probably not what you would normally expect from me, but I’m drawn to its subtlety and contemporary feel. Of course, that’s exactly what you’d expect from the Habitat wallpaper range. Bang on trend, and a little bit different. Use this wallpaper in any room in the home. 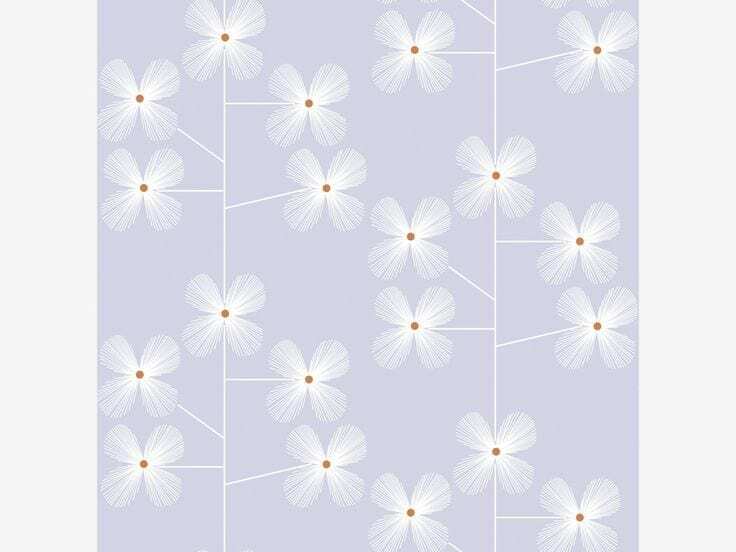 Perfect for an older girl’s bedroom, the dining area, a hallway or a lounge. Team it with warm woods, or gloss white furniture. Add a rich, dark indigo to really give the look some warmth and depth, or bring in some yellow and chartreuse for pops of bright colour. What do you think of this one? Could you use it in your own home? If you like the look of it, you’ll love the price, at just £15 per roll, and available right now in the Love Chic Living shop! Bargain! Love the design, and I can imagine it in my eldest bedroom actually. The prices are great aren’t they, for such fabulous designs.